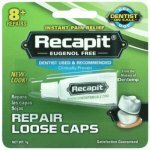 Emergency temporary repair kit to replace lost fillings and crowns. Contains temporary filling material and capsules of dental repair cement. 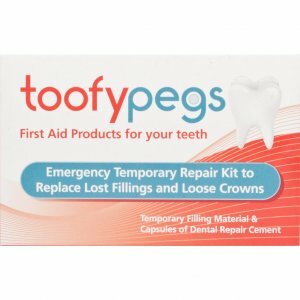 Toofypegs is a simple and effective tooth care system to replace fillings and loose crowns. A temporary filling material and capsules of dental repair cement. An emergency pack for replacing lost fillings and loose crowns.. The pack contains antiseptic minty mouthwash tablets to provide a pleasantly flavoured effervescent cleansing solution as well as temporary filling material for sealing a tooth cavity and dental cement capsules for replacing loose crowns or caps. Dental problems can strike at any time. 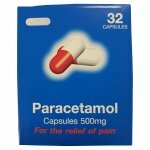 I wonder how many readers will be reminded of past experiences when a holiday, weekend or special occasion was spoilt by a member of the family losing a filling or crown and then trying to obtain emergency treatment in a strange town, or even worse, a foreign country! Help is now at hand - Toofy Pegs is easy to use and is an absolute must in an emergency until professional dental treatment can be obtained. For emergency use only. See your dentist as soon as possible. This product should not be used if throbbing pain or swelling in infected places exists. Keep out of reach of children. Powder cement contains the active ingredient: Zinc polycarboxylate.